The hull is double planked with precious wood. The deck is replicated to the finest detail. Ornaments are all wooden hand carved pieces. 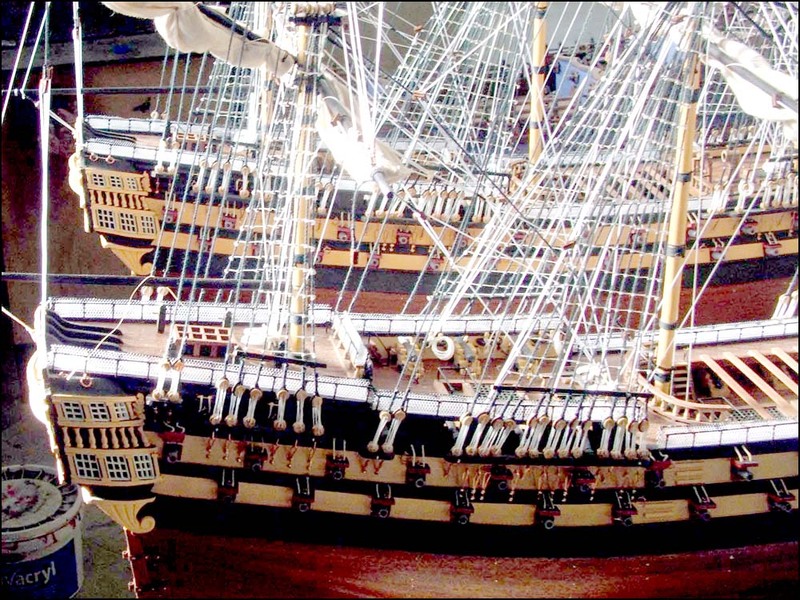 A large wooden model ship of the Soleil Royal built to an amazing level of detail. The hull is double planked with precious wood. The deck is replicated to the finest detail. Ornaments are all wooden hand carved pieces.